This product is the updated version of mbed HRM1017. The 3 major changes are below. 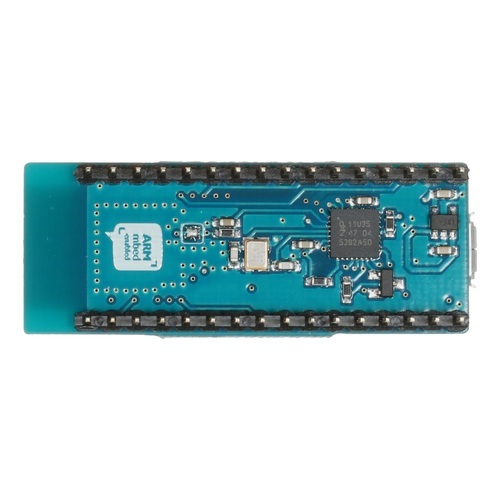 The revision of [nRF51822] chip on HRM1017 (2 to 3). Expanded the long side of board to antenna length. The Switch Science mbed HRM1017r3 is FCC and Japan radio type approved Bluetooth low energy development board with Nordic nRF51822 SoC. Unlike nRF51822-mKIT, this board does not have 37.768 kHz crystal. 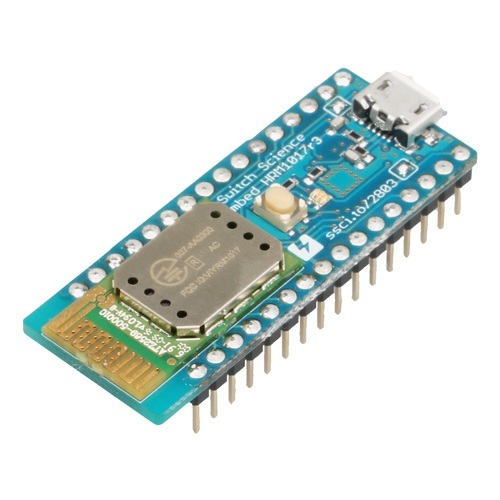 Please use BLE library on mbed.org which uses internal electronic oscillator for development. This product is compatible to mbed 2.0 and will NOT be correspondent to mbed OS 5.0. Start the downloaded installer and install the drive without opening mbed drive on explorer.